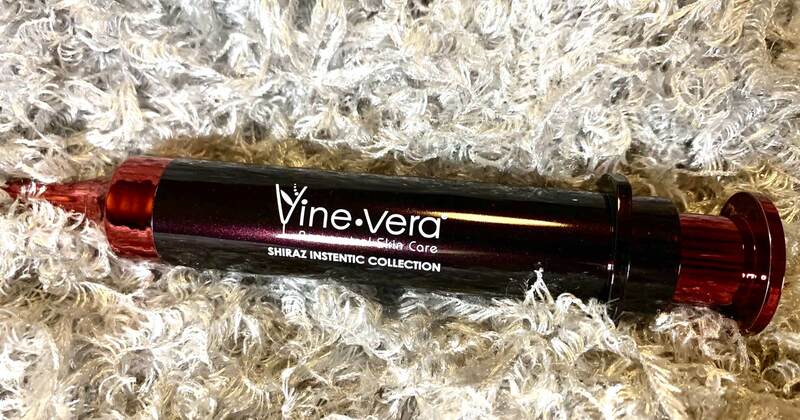 Over the past few weeks, I was given the unique opportunity to test the revered Vine Vera Resveratrol Shiraz Instentic Collection to determine my thoughts, impressions, and overall feel for the collection as a whole as well as the products themselves. After hearing about the success of those who have used this collection through various blogs and Instagram accounts online, I was very excited to be able to try it for myself. After using these products for the past week as directed, these are my initial and subsequent impressions about its usage, effectiveness, and how it can potentially fit into my curated skincare routine. 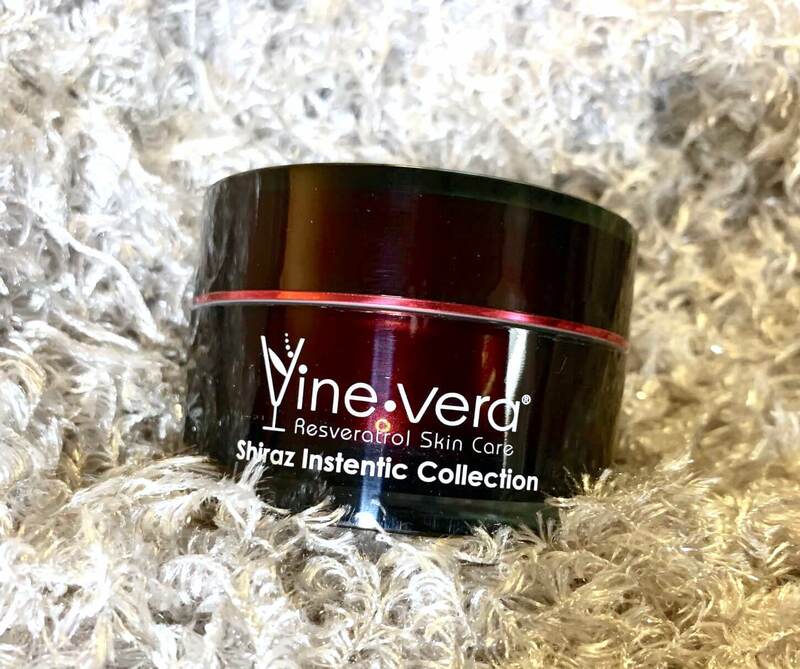 The Resveratrol Shiraz Instentic Collection is a specially formulated collection that is designed to improve the appearance of the skin, with both lifting and firming properties. Crafted using the coveted ingredient DMAE, this collection offers near instant results that reduce the appearance of fine lines and wrinkles and long-lasting effects that build over time. 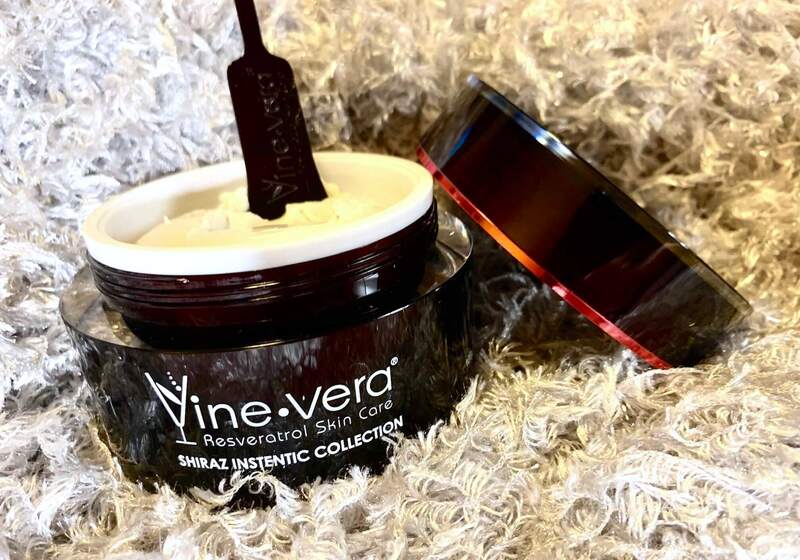 Over the past week, I tested the entire Shiraz Resveratrol Instentic Collection: the Serum, the Non-Surgical Syringe, the Facelift, and the Mask. This powerful serum is formulated to fight the signs of aging and visibly reduce the look of wrinkled skin. 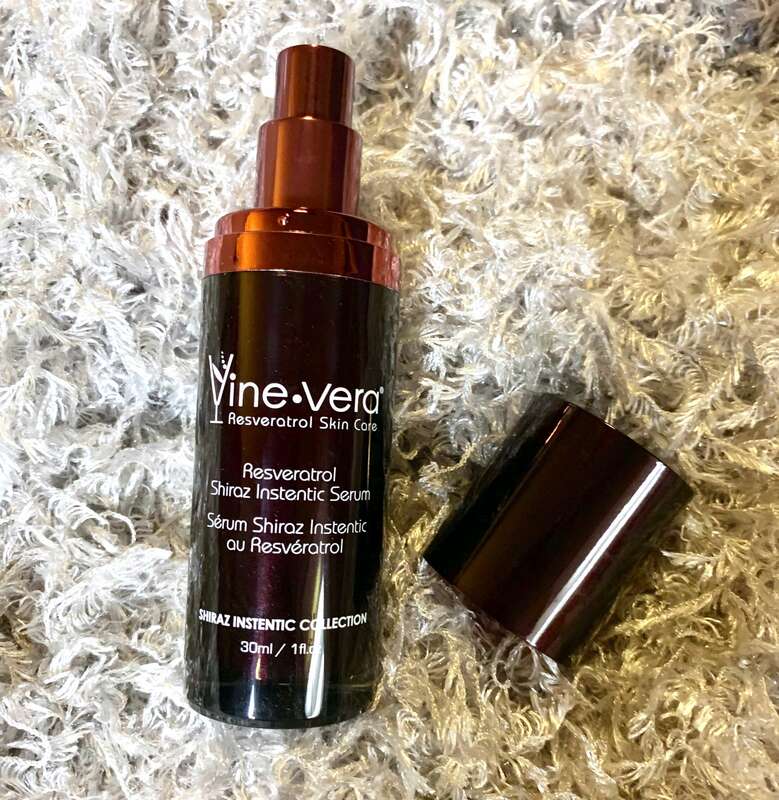 With a variety of anti-aging ingredients and hydrating vitamins, this serum is perfect for adding to any skincare routine. This product is carefully curated to promote skin elasticity and reduce the appearance of fine lines and deep wrinkles after just one use. Infused with high-powered anti-aging ingredients, this state-of-the-art product can be added to any skincare routine. The grand finale of this collection, this hydrating cream is designed to give your skin an anti-aging boost and improve its radiance and smooth its appearance. Infused with powerful ingredients that fight the signs of aging after each and every use, this potent cream offers immediate and long-lasting results. 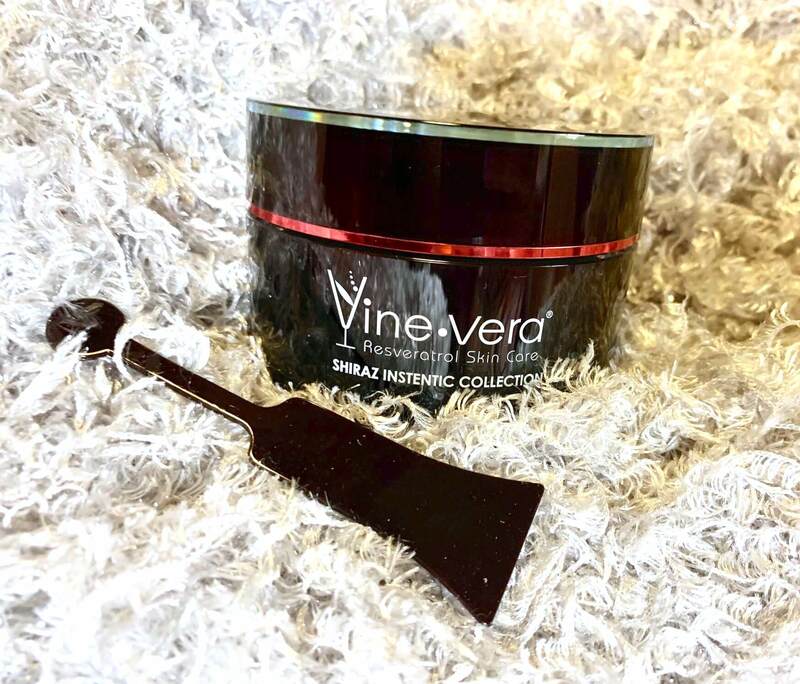 This hydrating and anti-aging mask is the perfect topical way to infuse your skin with the beauty benefits of Resveratrol and other key ingredients. With moisturizing extracts and vitamins as well as wrinkle reducing properties, this mask is a must-have in any skincare routine. 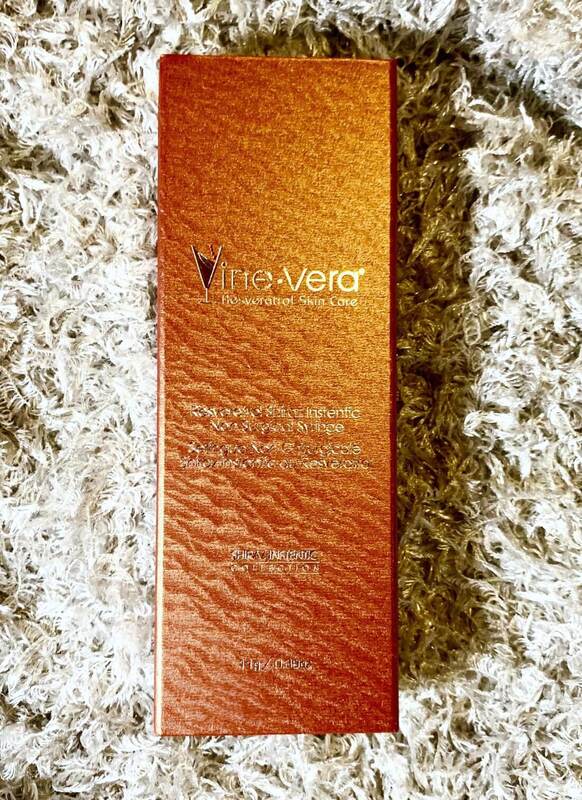 This serum should be applied to cleansed skin as needed and followed by the Instentic Facelift for the best results. This product should be applied to cleansed skin. You press the top of the syringe down gently until product comes out before applying directly to the targeted wrinkle. If any excess product remains, remove it with a cotton swab. For best results, follow with the Instentic Facelift. This cream should be applied to cleansed skin. For best results, it should follow the use of the Instentic Serum. This mask should be applied to cleansed skin once every other week. After letting it set on the skin for 20 minutes, it should be rinsed off thoroughly. For best results, this mask should be followed with the Instentic Serum. This potent serum is crafted using a curated selection of anti-aging ingredients. 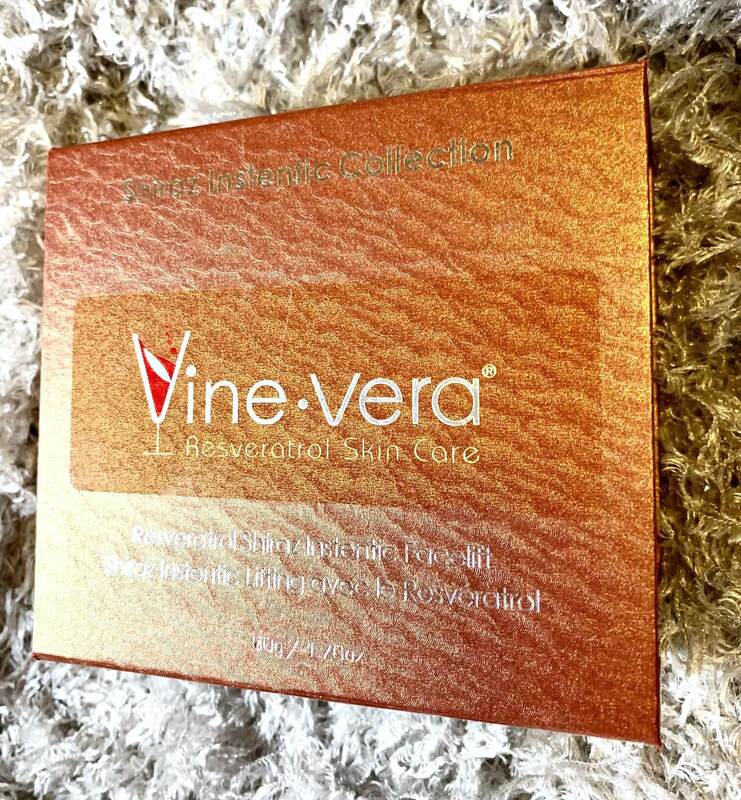 Sodium Hyaluronate, DMA, and Resveratrol Ferment extract blend together to visibly reduce the look of wrinkled skin. This product is infused with a variety of high-powered anti-aging ingredients that instantly reduce the signs of fine lines and wrinkles, including the miracle DMAE. 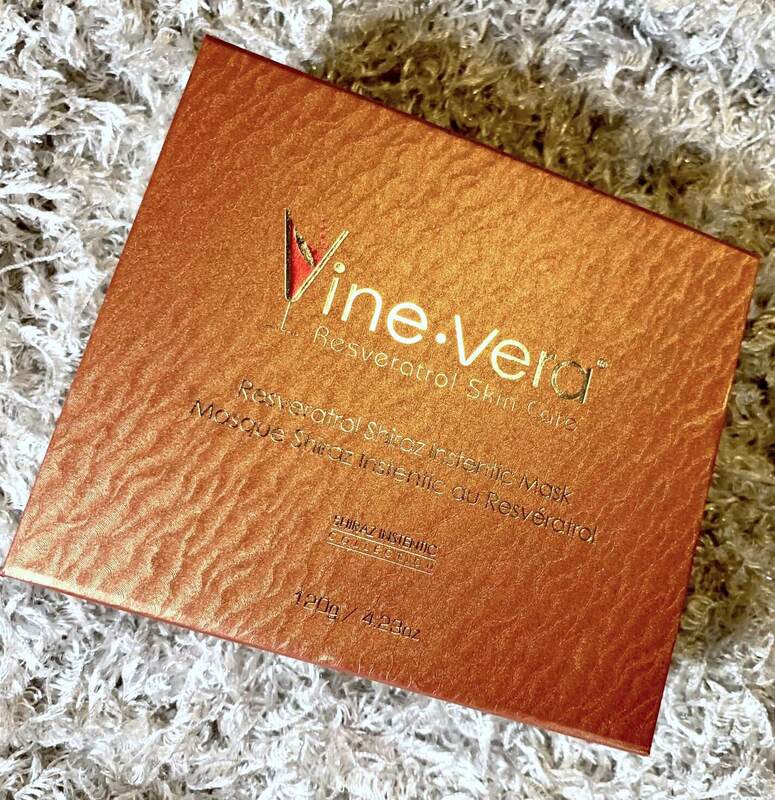 Resveratrol extract and hyaluronic acid also work together to fight the signs of aging and promote skin elasticity. Vitamin E and avocado oil moisturize the skin, improving radiance. 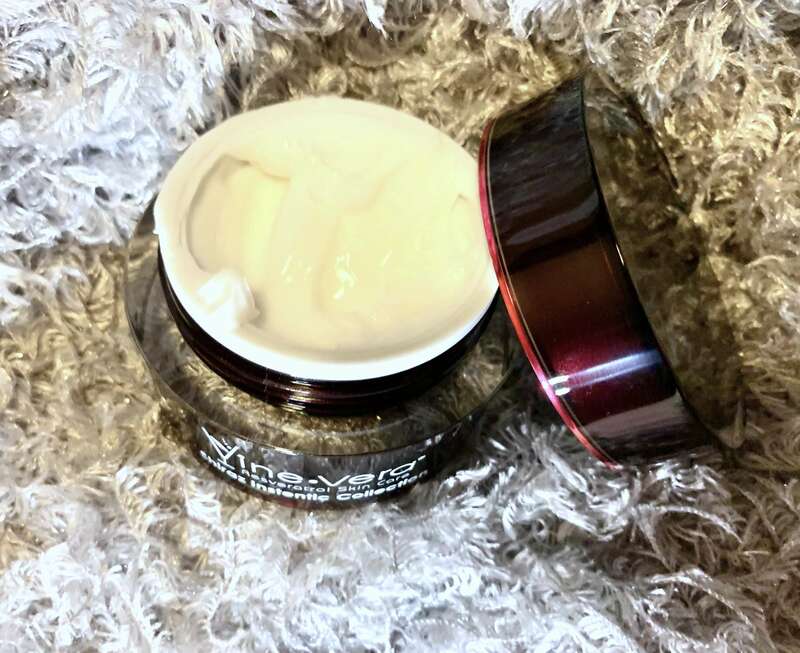 This non-greasy cream is infused with a variety of different moisturizing and anti-aging ingredients that work together to boost the appearance of the skin. 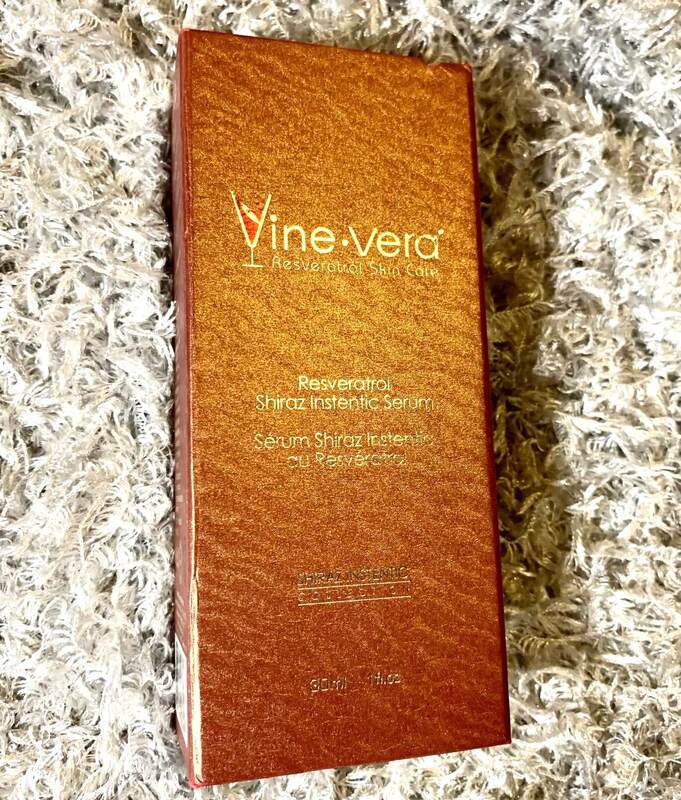 DMAE and Resveratrol work together to visibly fight the signs of wrinkles, fine lines, and sagginess in the skin. Formulated with a variety of vitamins and anti-aging ingredients, this mask offers an immediate youthful glow and a smoother complexion. Vitamins A and E alongside seaweed extract smooth the skin and lock in moisture for a hydrated and radiant look and feel. 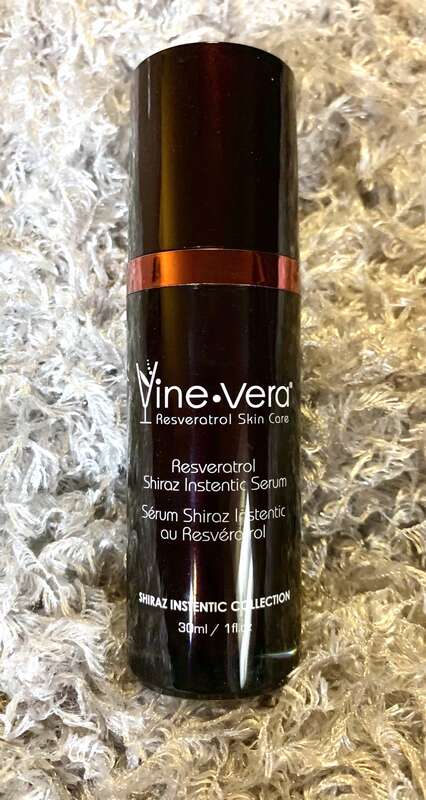 Resveratrol extract helps to reduce the appearance of fine lines, wrinkles, and sagging skin for a more youthful appearance. I was excited to break into this collection and see its effects for myself. Here are my thoughts and impressions after my first use of each product in this collection. 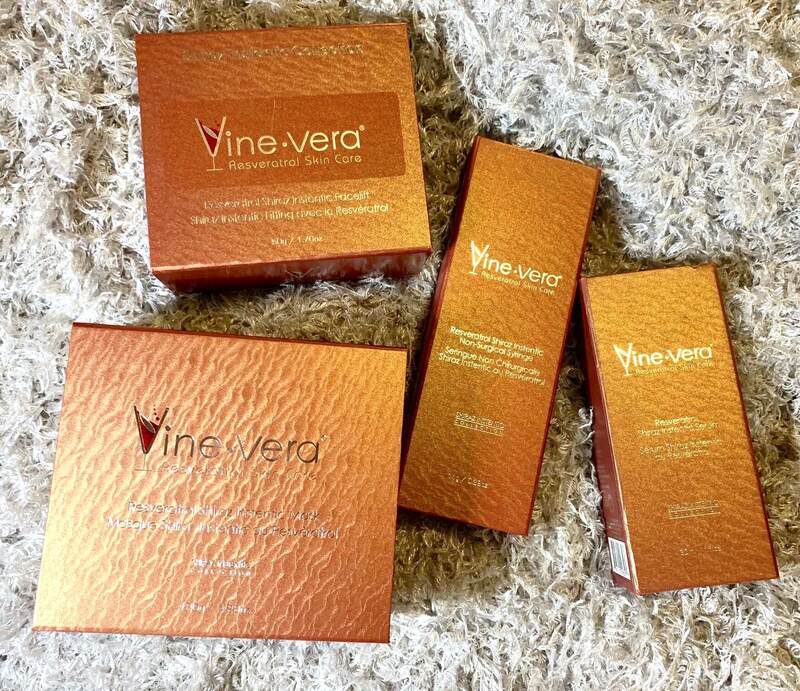 Pulling the boxes out of the shipper, I was delighted to find that they felt luxuriously heavy and incredibly sturdy – exactly what I’d expect from a luxury brand like Vine Vera. The color is an interesting shade of rich copper, with a subtle wavy texture built into the paper. Silver embossed writing adds a nice contrast to each box that amped up the luxe feel. This serum bottle looks much like the classics, with a tall silhouette and a sleek rounded shape. The bottle and cap are a surprisingly deep black color that’s accented with copper detailing. It has a smooth, shiny finish that reflects the light perfectly. This product took me by surprise – even with the name, I wasn’t sure what to expect. Shaped like an actual syringe, this piece is designed with a bold black hue and copper accents. The product itself is surprisingly lightweight in the hand with a smooth finish. I wasn’t sure what to expect pulling this out of the packaging – was it a mask? A cream? Something totally new? To my surprise, this product is actually a cream and comes in a standard rounded bottle with a rich black color. A band of copper around the middle adds a luxe touch that complements the outer packaging very well. Pulling the mask out of the box, I was surprised to find that it was a rich black container with a shimmering copper ring around the center – I was expecting it to be all copper based on the outer packaging. I like the weight of the container – it feels luxe and heavy in the hand. I wasn’t sure what to expect from this product, but was happy to find that it felt like the serum I typically use on a daily basis. It has a lightweight feel and a light smell. This serum quickly absorbed into the skin and didn’t leave any residue. Like the serum, I wasn’t 100% sure what to expect from this product. After all – it’s a non-medical syringe! Upon pumping out the product, I was pleasantly surprised to find a solution slightly thicker than the serum that was clear. It had a lightweight feel and dried down quickly. I was expecting this product to be a standard day cream, but was surprised to find that it has a nice thickness to it! Even with how heavy it felt on my fingers, it dried down quickly and was non-greasy, absorbing into my skin fairly quickly. This mask had a super creamy and luxe feel on the fingers and a light cooling effect when applied. It took some time to dry down, but didn’t feel chalky or too dry when it did finally set. After cleansing my skin, I broke out this serum to give it a test. The product dispensed easily and it was simple to pat it into my skin. I let it dry down for a few minutes before applying the Facelift as directed by Vine Vera for maximum results. I wasn’t quite sure how to use this product, so I actually had to look up directions online. Luckily, the website was super helpful and I was able to find suggestions for use. I applied this product using a cotton swab directly to the fine lines forming at the corners of my mouth. I applied this product immediately after using the Serum, as directed. 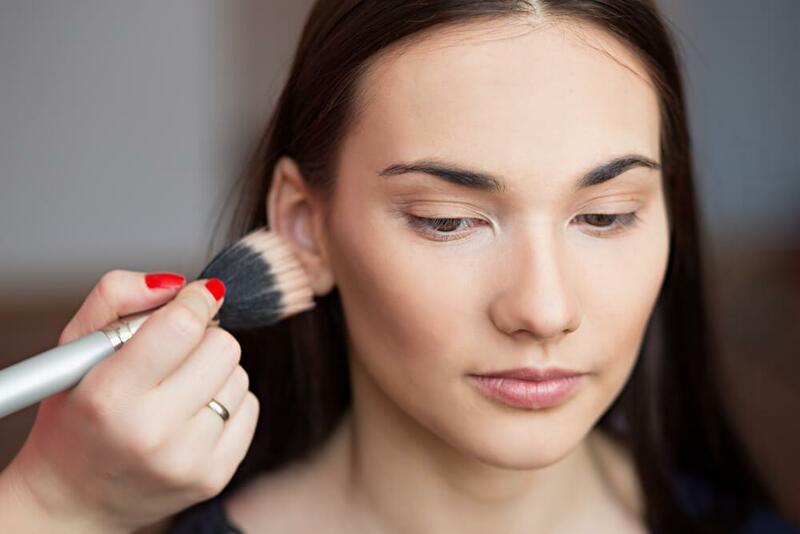 The formula is super creamy and was easy to blend over the skin. I do think I used too much product, as my face did look a little greasy right after application. After using a paper towel to pat some of it off, it dried down and the greasiness faded. Like most heavy masks, this product came with a custom spoon for application. I used it to pull the product from the container, but ended up not using it after that point, spreading the mask with my fingers for a more even application. The product took almost 20 minutes to set, but that is on par with the usage directions. It was easy to wash off with warm water afterwards, although it did sting a little around my eyes when I accidentally got some of the product too close while rinsing. Much to my surprise, I saw immediate results with a few of these products, one right after use and the others the next day. What showed an immediate effect was the Instentic Mask – after application and washing it off, my skin felt and looked a lot smoother! Although I don’t have a lot of fine lines or wrinkles to begin with at 28 years old, I found that the feel of my skin was a lot smoother and healthier with a notable tighter feel without being uncomfortable or feeling dried out. I’m not sure which products to attribute how amazing my skin looked the following morning – I’m assuming it’s a combination of all four products. I found my skin to be incredibly smooth and radiant the next day, without any breakouts or greasy spots to speak of! As someone with sensitive skin who is typically pretty careful about branching out and immediately testing every new product in the skincare realm, I was pleasantly surprised to find that I had no negative reactions to these powerful products! All in all, I was surprised at the effectiveness of these products after just a single use. I wasn’t sure what to expect from this collection, given the high number of positive reviews, but was pleasantly surprised to find that they were true. 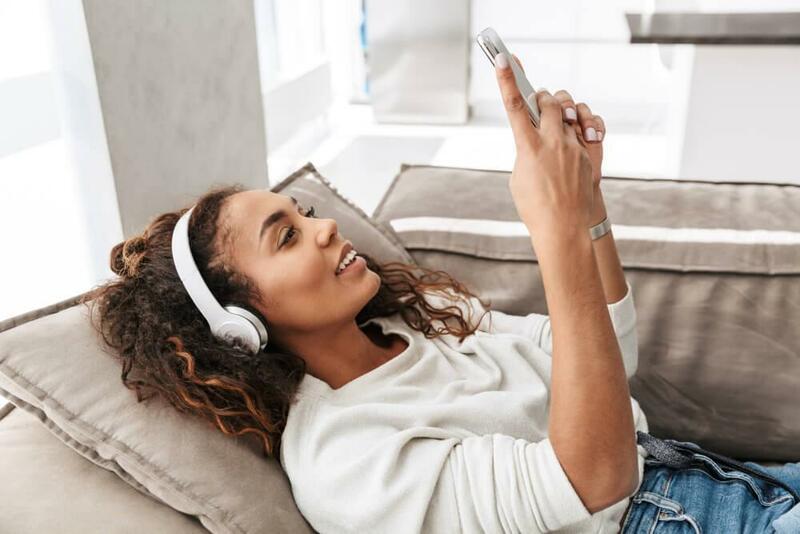 After testing these products out initially and seeing how well they performed, I was excited to give them another round of testing for a full week to see if they could live up to the hype over time. Here are my thoughts after a full week of testing. My gut feeling was right – these products performed amazingly well over time! After a full week of continual use as directed, my skin has continued to improve, and I have a more radiant and glowing complexion over all. The chickenpox scar on my forehead feels a little less noticeable and the fine lines that are beginning to form under and next to my eyes are all but gone. This collection performed incredibly well over a single week – I am very curious to see how they would affect my skin long term. Given these results, I have a feeling that they’d perform exceptionally well. I’ll definitely start by saying that I loved the effectiveness of these products. The added high-powered ingredients really do their job – my skin looks and feels amazing! I also liked the light scent of these products – it wasn’t overwhelming and didn’t leave me feeling overpowered or give me a headache after applying these products. I’m not 100% sold on the packaging of these products – given the expensive price tag and luxe feel of the products themselves, the packaging almost seems like an afterthought. I love the black and copper combination, but the components themselves felt a little – expected. Since the formula is so amazing, I would shift focus for improvement on the product components. I would source an actual copper material, maybe with a luxe metallic material or finish, and craft a unique design to hold the different formulas. The formula sets this product apart from the rest on the market – the packaging should do the same thing. Who Would These Products Work For? Based on their fantastic effects, these products would be absolutely perfect for any man or woman who wants to actively fight back against the signs of aging. The high-powered ingredients and potent effects make them perfect for anyone thinking about investing in anti-aging products. That being said, the price tag does limit whom these products would work for. Because of their high price, this collection would be best suited for those who have extra spending money to invest in an expensive and effective skincare routine. Overall, this collection absolutely blew me away. I wasn’t sure what to expect going in, as it’s hard to trust influencer opinions nowadays, and am happy to say that I enjoyed using these products from start to finish. I am definitely planning on incorporating a few of these items into my daily and weekly skincare routine moving forward. Next Story → How Does LED Therapy Work on the Skin?